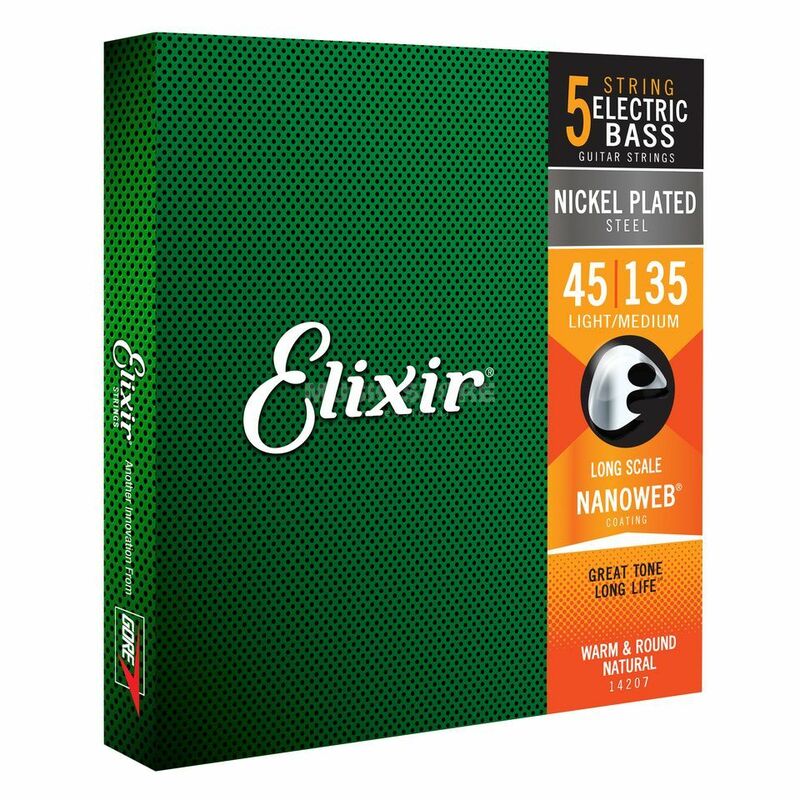 The Elixir 14207 Nickel/Steel Nanoweb Light-Medium Bass 5-Strings 45-135 is a pack of 5-string bass guitar strings in a light-medium gauge. Nanoweb Bass Strings deliver a rich, rounded tone with greater clarity. Thanks to an extended life expectancy (3-5 times longer), bass players are able to focus more on their music. The ultra-thin Nanoweb coating keeps gunk out of the gaps between the windings for a smooth feel that is easy on your fingers and enhances playability with reduced finger squeak. Anti-rust plated plain steel strings resist corrosion. De snaren zijn wel wat duurder in aanschaf maar ze doen me denken aan de oude reclame "maand na maand na maand na maand". Ze klinken na maanden even helder en strak als in het begin.